The National Youth Achievement Award (NYAA) was launched by the President in 1992 to develop and maximise the potential of young people through selfless community service, adventure, skills development and physical recreation. In line with these goals, the NYAA Council has been committed to engage and educate youths on the importance of environmental protection and nature conservation since its inception. Through the years, the NYAA Council has built up a strong network of NYAA Gold Award Holders’ Alumni (GAHA), many of whom have demonstrated passion and stewardship in the environmental field. Eager to engage youths to play a more active role in environmental issues, they organised the inaugural National Youth Environment Conference in 2008, providing a platform for youth leaders to exchange ideas and views with political leaders, senior government officials and environment enthusiasts. Currently, GAHA is working on developing a kit on climate change for preschoolers. To widen horizons and gain new experiences, the Council has partnered with corporate organisations to send outstanding youths on overseas study trips and work with world-renowned scientists and environmentalists. These include the HSBC/NYAA Youth Environmental Award and the Bayer Young Environmental Envoy Programme. Collaborations between the NYAA Council and the United Nations Education Programme also provided local youths the opportunity to represent Singapore at regional and international environmental forums and conferences. Since 1996, the Council has maintained an unbroken record of its Gold Award holders receiving the Green Leaf Award (now replaced by the EcoFriend Award) from the then National Environment Agency (NEA). The National Youth Achievement Award Council’s invaluable contributions in grooming exceptional individuals to contribute to society and the nation make it a truly deserving recipient of the President’s Award for the Environment 2009. 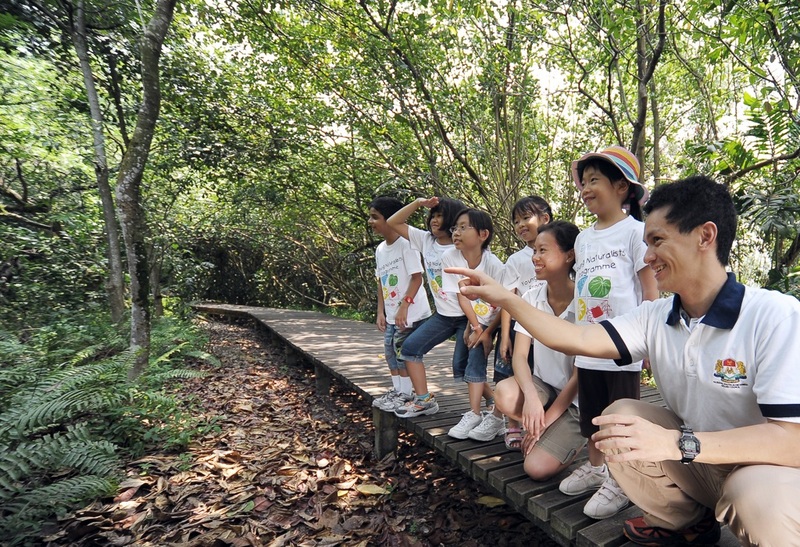 Designated as the West Zone Centre of Excellence for Environmental Education, Commonwealth Secondary School is a leader in environmental education programmes amongst schools in Singapore. Through its programmes, students have developed a keen interest in green issues and have become good environmental stewards both in school and the community. 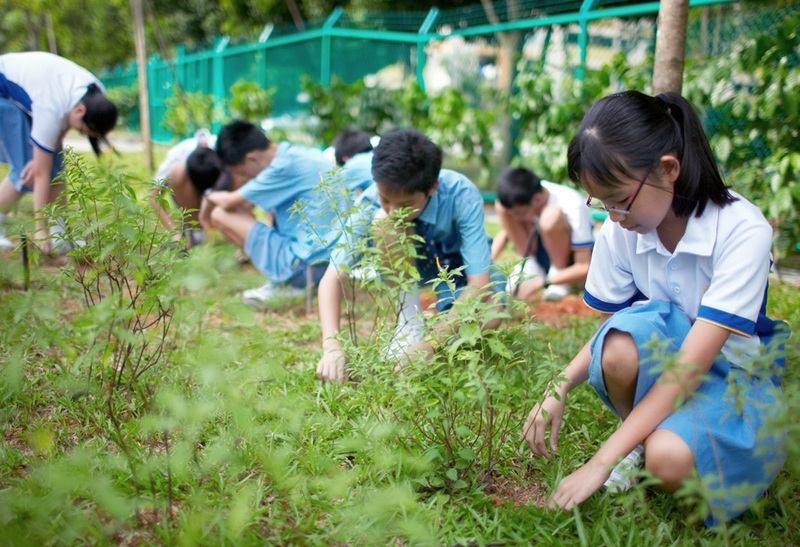 Commonwealth Secondary School’s environmental education programme provides a structured and differentiated programme for students at each level. Students are engaged through various hands-on activities which allow them to translate their energy and enthusiasm into action. From water conservation to climate change and alternative energies, students learn about a myriad of key issues through classroom learning and project work. Field trips to Sungei Buloh Wetland Reserves and river clean-ups at Sungei Pandan and Pandan Reservoir, which the school had adopted under PUB’s ‘Our Waters’ programme, further enhance the learning experience. To augment the development of its environmental education programme, the EcoFriend and Watermark recipient recently converted the school pond into a Constructed Treatment Wetland which recycles grey water and serves as an outdoor classroom. Beyond the formal curriculum, the school actively initiates programmes and activities to engage the larger community. These include organising the annual National Green Competition to promote creative use of recycled materials amongst upper primary students, and conducting the annual Just One Earth seminar for educators to raise awareness about environmental issues. Extending its efforts beyond the school, students from Commonwealth Secondary School also reach out to the community, educating households on issues like mitigating climate change and preventing mosquito-breeding. Commonwealth Secondary School’s dedication to environmental education and its efforts to groom crusaders for the green cause serves as an excellent benchmark for other educational institutions. ST Microelectronics is the world’s fifth largest semiconductor company with market leadership in many fields. In the 1980s, the company was one of the first in the semiconductor industry to incorporate sustainable business practices and promote environmental protection to its stakeholders. By the early 1990s, the company made voluntary environmental reporting an integral part of its Corporate Social Responsibility policy. 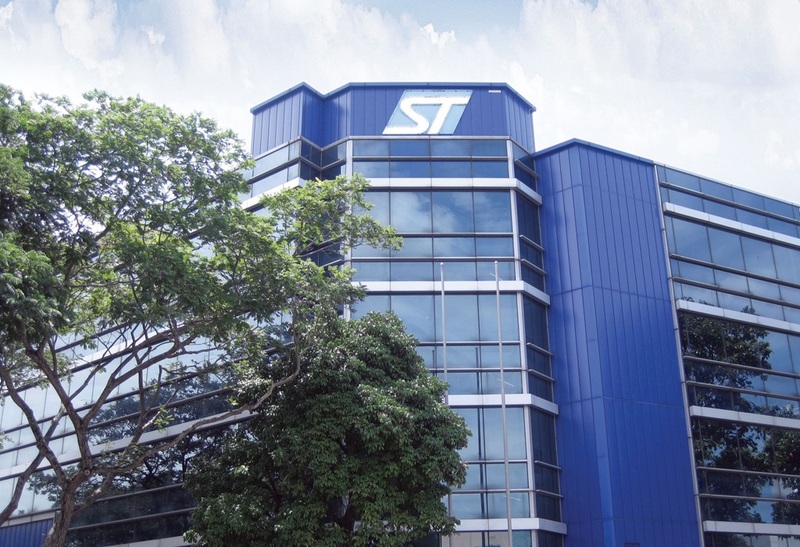 With a long established and strong manufacturing presence in Singapore, ST has always placed high priority on adopting the best practices in environmental protection, water conservation and reductions in waste and pollution emissions. Since 1984, the ST wafer fabrication plant in Singapore has made significant investments in environment-related projects. The company has continuously achieved significant results in reducing energy consumption and water conservation and recycling, both of which are on-going key priorities of the company. Some highlights of the company’s environmental achievements include: daily savings of 6000 m3 per day or about 2.6 Olympic-sized swimming pools per day of water in 2009 using its water reclamation system; total savings of 3.5 million kilowatt-hour worth of energy in 2008 through energy-efficient equipment and chillers – this represents sufficient energy to power 800 HDB 4-room flats in Singapore for a year; and a recycling rate of 79% of its waste in 2008, with only 1.5% going to landfill and the rest incinerated to recover energy. Other equally important sustainable development projects include the recovery and recycling of chemicals used in its manufacturing process and point-of-use abatement systems to clean the effluent process gases before release to the environment. ST also believes in educating and nurturing a green mindset amongst its people. It organizes in-house trainings and conduct educational trips to water reclamation plants and waste treatment facilities operated by government agencies. Its environmentally-aware employees are the main driver of innovation and implementation of initiatives to conserve, reduce, reuse and recycle at ST. Since 2004, ST has been a firm supporter of NEA’s Adopt-A-School program, nurturing and mentoring students to take ownership of the environment through joint projects. In partnership with NParks, the company also sponsored a reforestation plot at Bukit Timah Reserve. As testimony to its efforts, ST was awarded the Singapore Environment Achievement Award and the Singapore Green Plan 2012 Award in 2004. A forerunner in championing sustainable development, ST sets an example of how private organizations can play a leading and fulfilling role in protecting and conserving the environment through responsible business practices and community outreach initiatives.